Join the Official Legend of Korra fanclub! They have prizes! I'm also the keeper of the Fire Nation Palace's gratuitous flame decals. 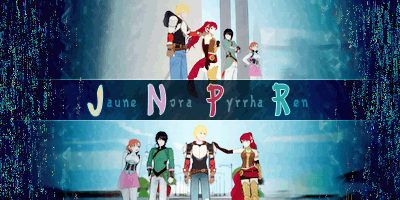 The season correlation is present in several franchise materials. I don't know if it's based on a Chinese system, the Chinese elements are different than the ones in the show which are more similar to Western and Hindu primary elements. The opening draws parallel between the seasons and the Avatar, "And like the cycle of the seasons, the cycle of the Avatar began anew." Korra's mother? When we see her and her husband inside their home, she isn't wearing a betrothal necklace. So presumably that tradition didn't catch on in the South following the North's relief mission. Nah, they just have yet to make it legal. No wonder Korra doesn't worry too much about rules. EDIT: Never mind. I just realized you made the same point. Perhaps they aren't always worn during the marriage. The only case we've seen is Kya and we can't be certain Hakoda proposed with it. ^Maybe he is the Lieutenant character. 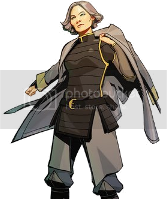 Lieutenant of the Metalbenders like how Toph's daughter is the chief. If what I heard in the vid was was the Lieutenant, then it could actually be Richard Epcar. FIST OF THE BEAST KING!!!!!! The Cheif and Tenzin definately have the same badge. Council badge? Will we get some sweet bureaucratic action? Oh wait, this isn't a prequel like the Star Wars prequels, it's a sequel. I think we're safe. Also when Tenzin goes red in the face so does his arrow, lol. Also Korra's shoulders (aside from being made of awesome) when she leaves the office she's squaring off, making herself look bigger, but when she's talking with Tenzin she's got a unconfident slouch. Body language, Korra speaks it. What is that? Bullheaded snakes? Dragons? Nah, the Lion Turtle's back was a hexagon. I'll always remember that because I considered it the most awkward line in the finale. 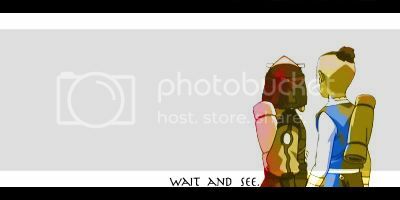 I see the bullheaded snakes, personally. No wings to make them dragons. That means the season finale will have giant mecha. And lasers. ...I'm pretty sure I had a dream about this a while ago. 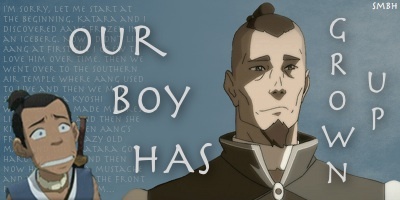 I'm not sure if someone mentioned this or not, but I loved how they dodged the question of Zuko's mother again. Hi Shion! Welcome to ASN! ^ We already knew about that a very long time ago. Nothing spoilerish about that. If there are any leaks again in the future, then this thread can be reopened. 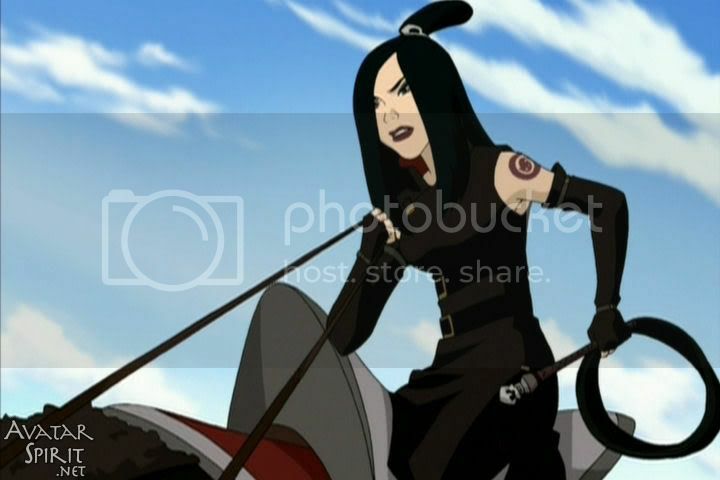 hasn't anybody noticed that Asami looks like Azula? 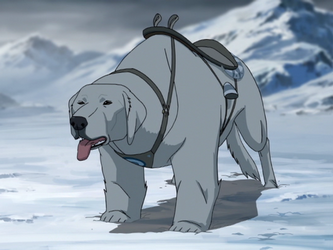 And I'm merging this with the "Interesting things noticed in Korra Spoilers" thread since I don't think it warrants its own topic. 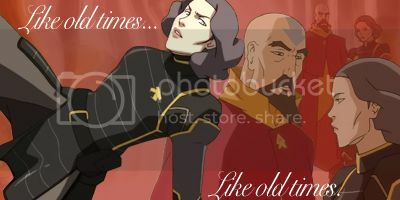 I keep: Tenzin's dramatic cape movements, Pema's motherly love, and Piandao's love of the arts. Did everyone see Bolin's gorilla impression when he hunched his shoulders? lol I think this will create tension because if Korra doesn't quit Tarrlock's task force, she's not gonna be ready for the tournament. I assume this is why Mako and Korra are annoyed with each other in later episodes.